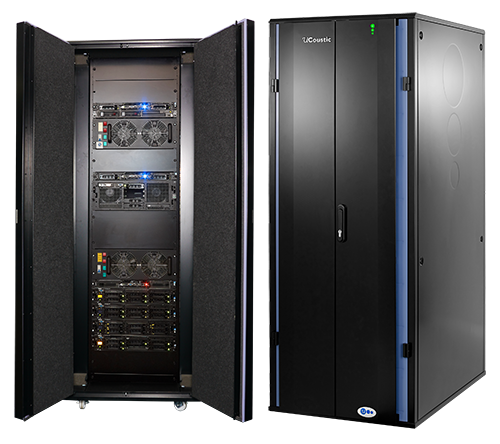 The best performance soundproof server cabinet in the world. Only the UCoustic 9210i gives 31dBA IT noise reduction, up to 12kW of heat load removal M2M Connecting Machine to Machine. 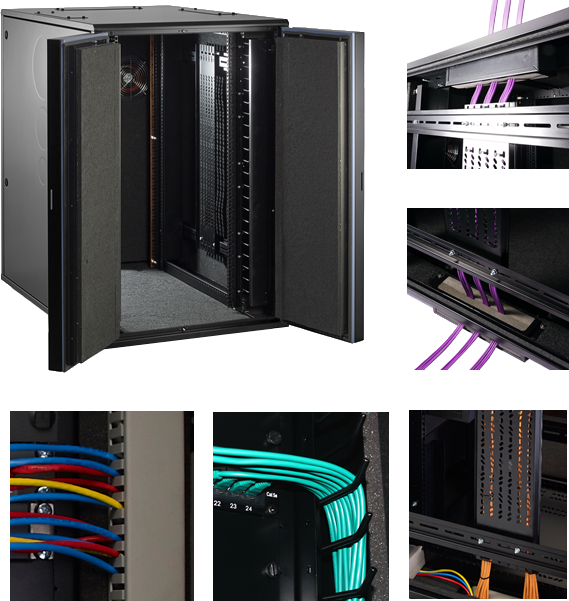 A well-equipped server room should provide the IT equipment with a safe, secure, well ventilated and resilient home - this comes at a high cost in terms of equipping and fitting the room and also the expensive floor space required. 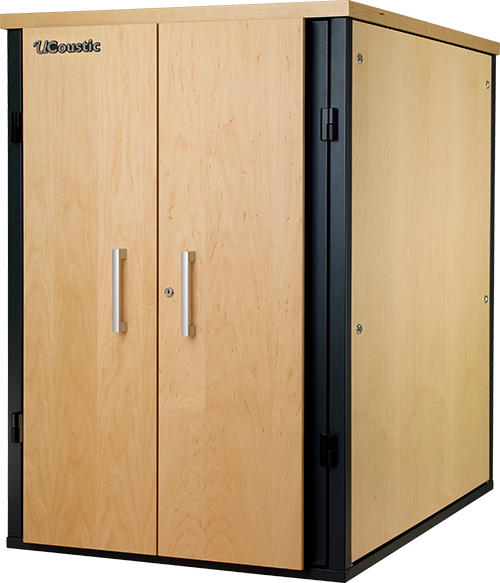 The UCoustic 9210i on the other hand takes up less than a square metre in footprint, can be located in any area including offices, receptions, hallways, cupboards etc., without concern for noise or temperature issues. Additionally, the UCoustic 9210i incorporates real time environmental and security monitoring. It is all well and good making these savings but deploying active IT equipment into the middle of a working environment can be off putting for visitors and detrimental to working conditions in terms of the constant evasive noise and excessive heat generated from the active equipment. The Executive cabinet comprises the same specification as the standard UCoustic with the additional option of a real wood finish to blend elegantly with other office furniture – without compromising decibel attenuation, psychoacoustics, thermal performance or cabinet strength. 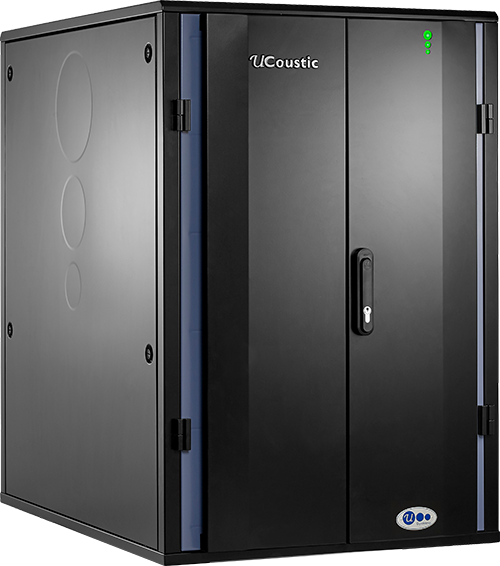 The UCoustic 9210i cabinet effectively removes up to 31dBA (99.9%) of IT noise, which is tech speak for saying that it will reduce server noise down to a whisper. Active hardware requires a constant supply of cool air no matter where it is placed in the front of a cabinet. Uniquely the patent pending double path wardrobe doors provide a pathway to the 19" rack area and uniformly from top to bottom. The 9210i is then divided up into three separate sections, which forms the basis for the outstanding kW performances on all the models. 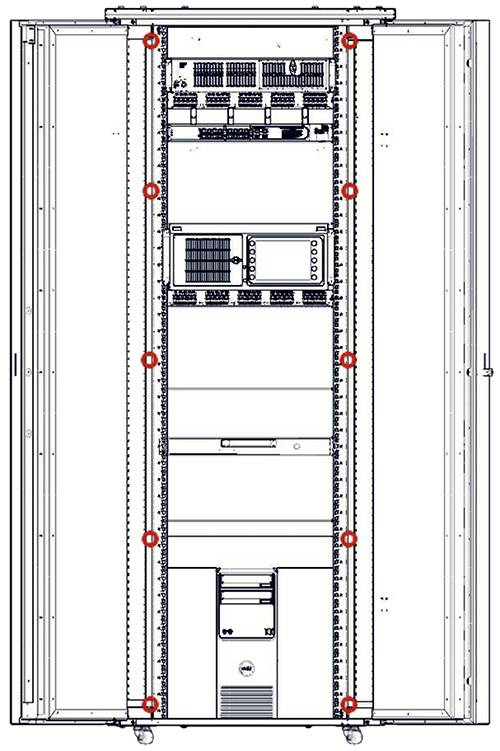 Protecting expensive servers and switches or just general IT equipment is of paramount importance and by clever design the unique cooling system of the UCoustic 9210i enables the removal of up to 12kW of heat load in a 42U height cabinet. The UCoustic 9210i can also deal with removing the exhaust heat rejected into the room from the cabinet via a ducting kit, again making for a pleasant and controlled working environment. The UCoustic 9210i comes with built-in sensors and management software allowing data to be accessed from multiple devices remotely in turn this then provides real time status, alarms, alerts and defined reports which can be sent to up to ten users. 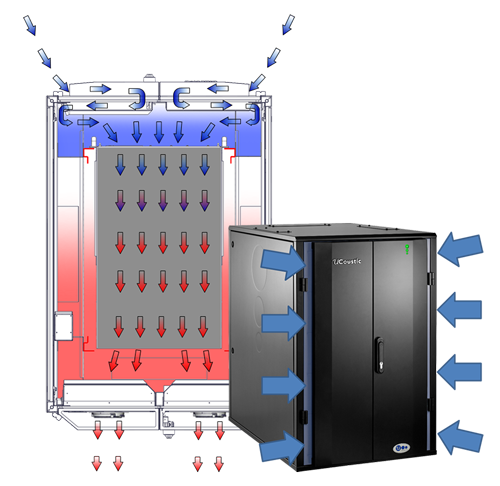 Reducing energy bills is always desirable but expecting a standard server cabinet to assist in this aspect is impossible. UCoustic 9210i is uniquely different in design. Incorporating as standard EC fan technology, which means an immediate energy reduction. These fans will also speed up and slow down as and when the heat load dictates. The new 9210i DAX 'Directional Airflow eXhaust' system will also allow heat normally expelled from the rear of the cabinet into the office to be either directed into another room/warehouse or outside; which is especially important in the summer. However equally important is to have the ability to recirculate the warm air back into the office environment during the winter months. The need to protect important hardware and sensitive information is paramount. 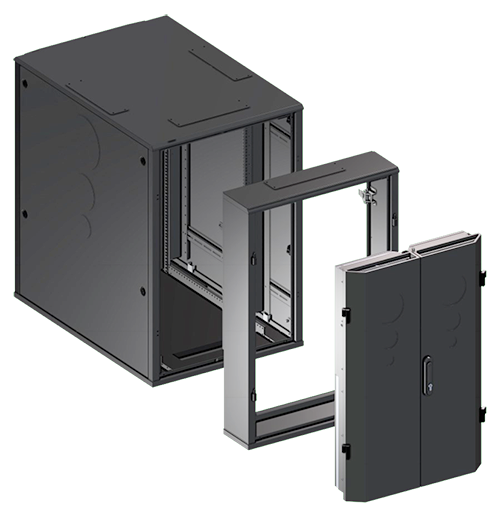 Our range of cabinets will allow an immediate security upgrade by mounting security cameras internally to the front and rear of the cabinet. The UTelligent Management System 'UMS' will store images and if required will provide you with real time alerts of cabinet entry to view download via remote access. Another standard feature in the UCoustic 9210i cabinet is the inclusion of built in environmental monitoring. 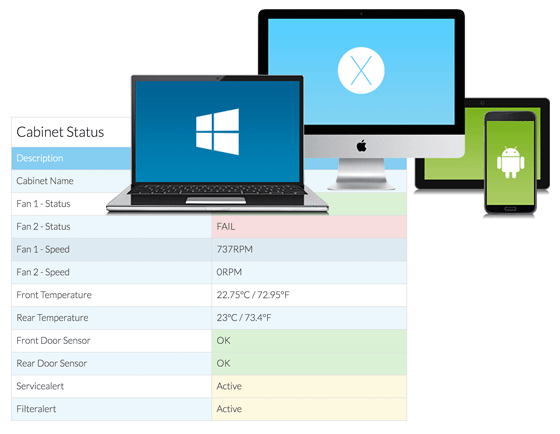 Whether it's for temperature, power, EC fan speeds or even security – the UTelligent Management Systems 'UMS' will allow remote access, monitoring and device and/or sensor management which is all displayed on the free Web User Interface ‘WebUI’ which is also included in the cabinet as standard. Being the best in class for soundproofing and cooling one thing, but if this is at the expense of being a poorly designed data rack, then this is surely an unacceptable compromise. The UCoustic 9210i doesn’t make any compromises, the advanced design extends to it being an excellent all round 19" data, comms and server cabinet, with fully adjustable front and rear mounting angles and a choice of an unrivalled SIX cable entry ports without detriment to the required sound or temperature values. Upgrade from the standard IP44 to an impressive IP54 without affecting the sound attenuation or heat dissipation of the 9210i cabinet. The anti-vibration cabinet is a valued addition to the UCoustic family which utilises special anti-vibration mounts and dampening castors designed to isolate the 19" mounting angles from the fabric of the cabinet – this in turn protects the IT equipment from vibration and mild shocks. This option is especially important when installing sensitive active equipment or when used in a controlled environment. It is also especially useful for transporting populated cabinets over ground or in vehicles for relocation etc. Side venting kit for active IT equipment which cools from side to side such as switch gear, Cisco servers etc. When utilising enterprise, render node or higher speed servers the extension kit enables these to be housed in the 9210i by giving an additional 200mm depth to accommodate this type of specialist, deeper equipment. 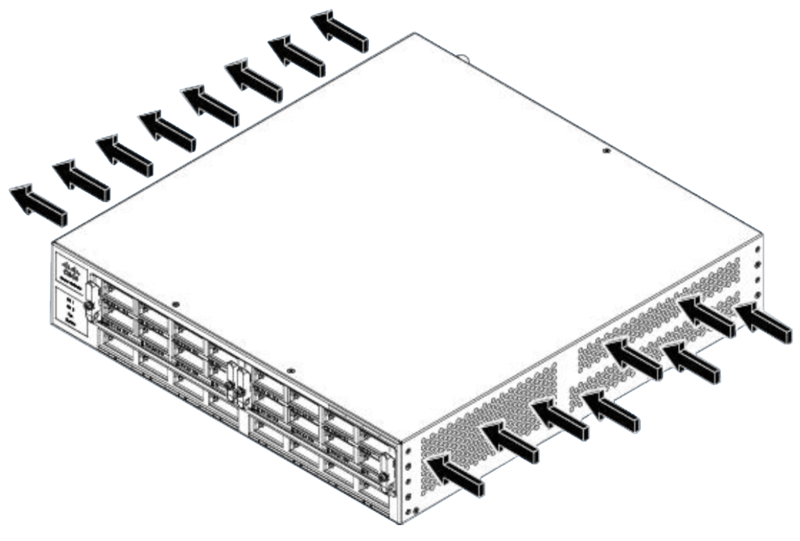 The extension kit is fully retrofittable and will not adversely affect the performance of the cabinet.